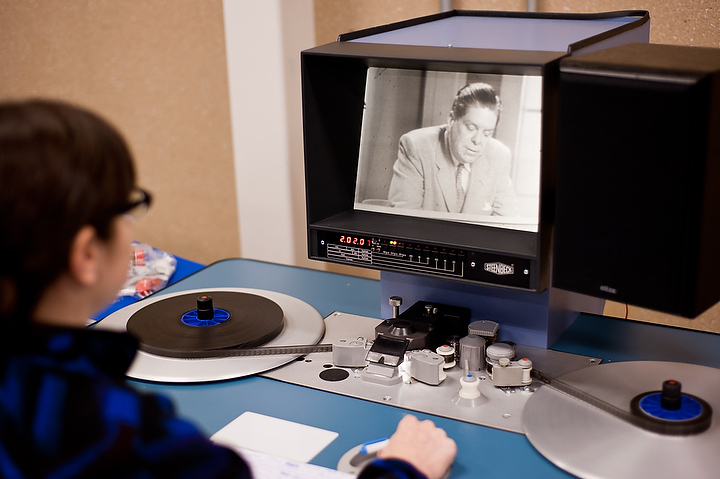 In October of 2011, the IU Libraries Film Archive acquired 12,000 educational films from the Lane Education Service District in Eugene, Oregon. The collection consists primarily of educational films made for elementary through university level students that were produced between the 1920s and 1980s. Genres of the films include science, the arts, physical education, biographies, world history, and instructional films along with some feature films including, The Red Balloon (video below), City Lights, and Paper Moon. Some of the educational films include Guernica (video below), Food Chains in the Ocean, Rise of English Socialism and Bicycle Safety. There are multiple copies of many titles and some that have upwards of ten copies. In April the process of adding these films to the collection at the Auxiliary Library Facility (ALF) began. The process involves bar-coding each title, testing the films for vinegar syndrome with A-D strips, and then sending them to their final destination in the ALF vault where they are kept at a steady temperature of 50 degrees Fahrenheit and a humidity level of 30%. 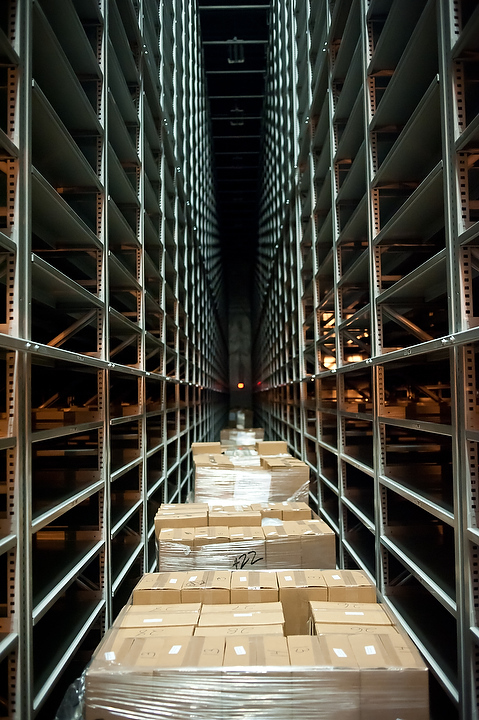 Over 95% of the films that have been tested are in great condition and with the climate controlled storage facilities their conditions will be stabilized for decades. The few films which have tested poorly are bagged in plastic and kept in a film freezer which maintains a constant temperature of -2 degrees Fahrenheit. Presently over a third of the new collection has been tested and cataloged and will available through IUCAT after processing has been completed. IU Libraries Film Archive already houses a large variety of educational films and the new films will only add to the diversity of this immense collection. The author and interviewer for this post is Natasha Ritsma. Natasha is a Ph.D candidate in the Department of Communication and Culture at Indiana University. She is working on her dissertation on the art of educational films which includes research in the history of the Audio-Visual Center at IU. After 42 years of working for Indiana University, Martha Harsanyi, the Media Collections Manager for Media and Reserve Services at the Wells library retired in May, 2012. My discussions with Martha have not only been vital for my academic research but have also inspired a series of future blog entries that will include topics such as: the most frequently censored educational film ever produced, a look into the history of Teaching Film Custodians, and Indiana University’s unique 16mm film productions. Martha began her career at IU working at the Kinsey Institute in 1970. In 1975 she transferred to the IU Audio-Visual Center (one of the first and largest university run film/video rental centers) which eventually became Instructional Support Services. Throughout the span of her career, she witnessed dramatic shifts in audio-visual technology beginning with 16mm films in the 1970s, to video in the 1980s, and digital media starting in the 1990s. Martha’s wealth of experience and knowledge about the IU media collections is astounding and has served as an invaluable resource for students, instructors and researchers for decades. NR: What would you say is the most significant contribution the IU audio-visual center made to the American media landscape in the 50s, 60s, 70s? MH: The IU Audio-Visual was a leader in the field of 16mm production and distribution. IU faculty member Nona Hengen called the Audio-Visual center the “Mother Church of Media.” The IU Audio-Visual center functioned as a model that was to become a national standard. IU developed an excellent structure for how to set up an audio-visual center. I think every other university audio-visual center modeled itself more or less after our audio-visual center, from building the storage racks (so they could store the film canisters on edge) to their catalogs. IU was a leader in the production, distribution, cataloguing, selection, and promotion of 16 mm films. NR: What were the cultural values and ideologies that influenced the mission of the IU Audio-Visual Center? MH: There was a strong desire to use new technology to enhance public school education. The Audio-Visual center started in tandem with the baby boom and there was a real need to educate a growing population. Classrooms were stuffed to their gills with little kids. 16mm films were first used for training purposes during WWII and they saw that they really worked. It was an easy transition to go from military training to teaching the public in general. There was a desire to bring the world to the hinterlands and provide educational opportunities to kids in little rural schools that they would never otherwise get. NR: Who rented films from the IU Audio-Visual Center? MH: Schools, museums, clubs, community centers, and churches. The school systems wanted to use the latest technology and film was the latest technology. The whole idea of a rental library based at a university was to remedy the fact that 16 mm films were very expensive and there was no way smaller schools could afford them. 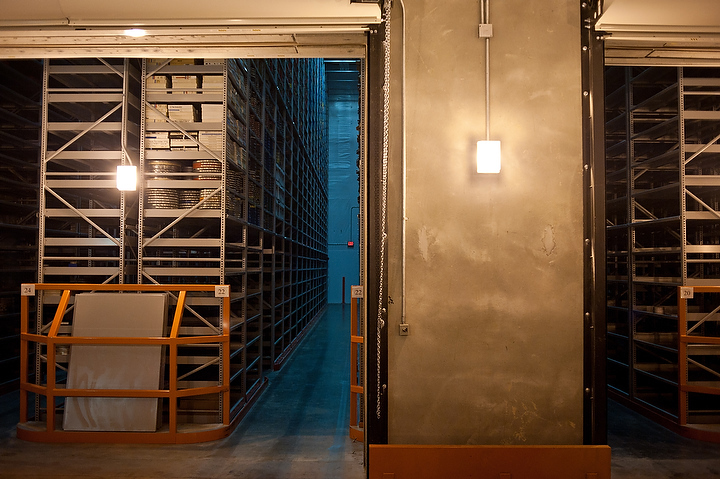 The university rental collection functioned as a pooled resource. It was a service of the university to the state of Indiana. It was intentionally not a money making operation, and indeed they did not make money. What money the Audio-Visual Center made was plowed back into buying more films. NR: What is your favorite 16mm film? MH: Powers of Ten by Ray and Charles Eames. It is my favorite film because it used the visual medium to demonstrate something you couldn’t demonstrate in any other way. I’ve watched it many times. The 1977 short film, Powers of Ten explores the relative size of things from the microscopic to the cosmic. The aerial view of a man enjoying a picnic in a Chicago park pans away to the outer limits of the universe. 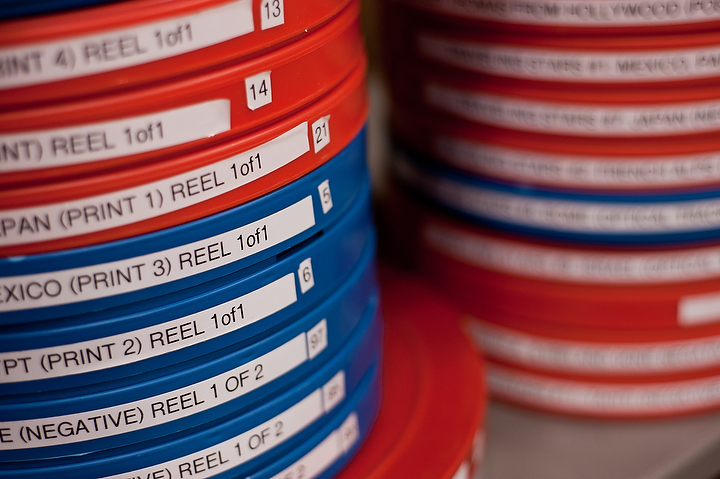 Twelve-thousand educational 16mm films were recently donated to the Indiana University Libraries Film Archive from Lane Education Service District. The films consist of a collection of films that were acquired from a disbanded Oregon University consortium and consists of theatrical releases including some silent films and titles from the 50s and early 60s and a collection of educational films that range in date from the 1920s through the 1980s and were rented to grade schools and high schools for instructional viewings.